It’s perfectly normal to experience a wide range of emotions the week before a race of any distance, whether it’s five kays or 42.2. Excitement, anxiety, even dread can sweep over you in those final days. Harbouring all that nervous energy simply means you care about having a good day, whether your race goal is just to finish or to run a faster time. 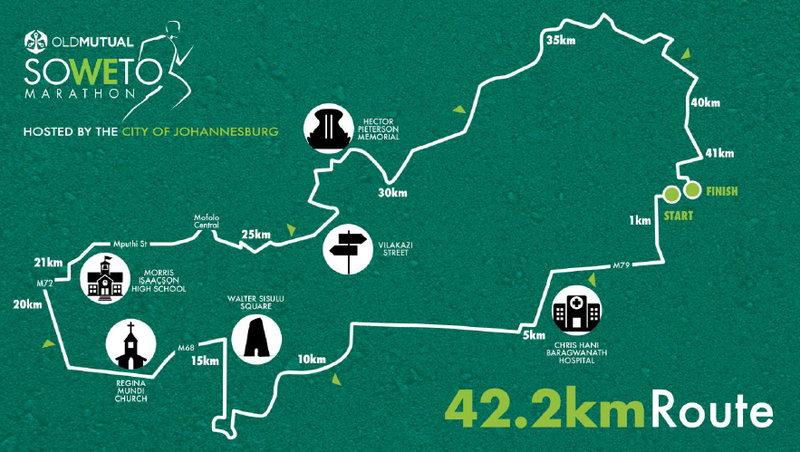 The best way to counter those jitters is to have a plan for each day that will prepare your body – and ease your mind in preparation for the 2017 Old Mutual Soweto Marathon. Walk or cross-train for 30 to 60 minutes. Run or drive the course, or review a map of it online. Familiarising yourself with the hills, turns, and final stretch helps you plan your strategy. Run easy for 30 minutes. Do two to three one-minute accelerations to wake up your legs. Look through your running log to reaffirm your progress. Spend 30 minutes cross-training to channel nervous energy. Organise logistics: Know how to get to the event, when to arrive, and where to park. Run for 30 minutes and visualise running strong to the finish. Surf YouTube for past Olympic races. Watching great athletes will further inspire you. Walk for 30 minutes. Mentally rehearse your race-day plan: Visualise lining up, starting slowly, and using your run/walk strategy from the beginning. Go for a 20-minute walk, then chill out. Get organised: set your alarm; lay out your running gear, fluid, and snacks; pin on the bib number; lace the timing chip; and prep your breakfast. Warm up by walking to the starting line, and spend the first kay or so of the race easing into your pace. Remember to look around and soak up the good vibes.